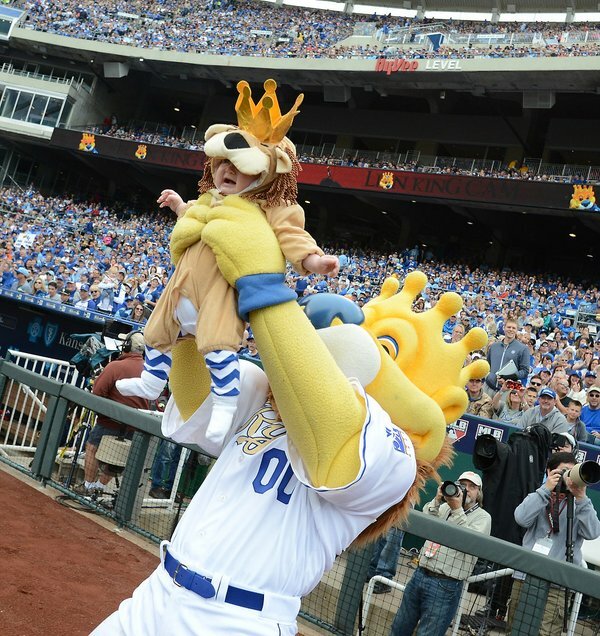 Shirts With Random Triangles: Kansas City Royals Mascot Recreates Opening Scene Of "The Lion King" With Less-Than-Enthused Young Fan. Anyhow, Sluggerr decided it'd be fun to recreate the opening scene of The Lion King with said child. The results were exactly what you'd expect them to be. Hopefully the Royals front office will agree to pay for whatever therapy the now-mentally scarred for life child will need.